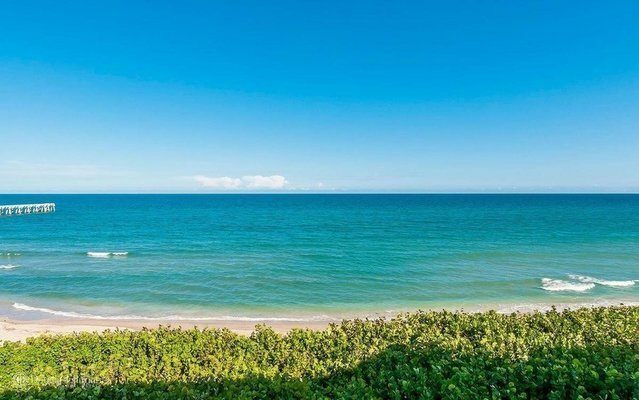 This gorgeous flow through residence at Bellaria in beautiful Palm Beach merges a spectacular oceanfront setting with world-class amenities and the prestige of one of Florida’s most exclusive addresses. With 10+ foot ceilings and floor-to-ceiling glass, this beautiful condo affords wonderful ocean and lake views. The modified Maria floorplan boasts 3,717 interior square feet featuring 2 spacious bedroom suites plus a den, 4.5 baths, expansive oceanfront living room, dining room, a dedicated media room and 2 covered parking spaces. This fabulous residence can be further enhanced with a superb poolside cabana that can be purchased separately. This residence is located at Bellaria, Palm Beach’s most sophisticated enclave set directly on the sand. Experience oceanfront estate living without the responsibility!